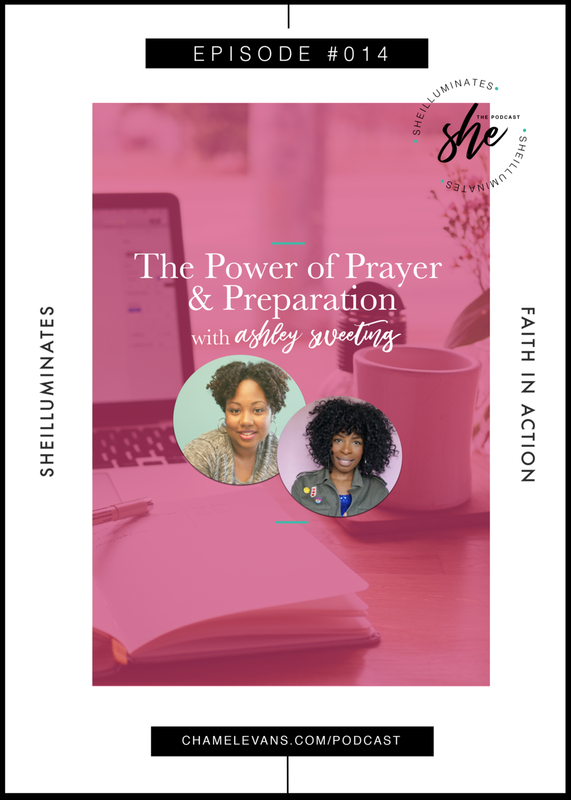 Chamel speaks with Ashley Sweeting from Sweets Virtue discussing the power of prayer and preparation. Listen to how Ashley’s personal prayer experience can help you with your prayer journey. Along with powerful prayer tips, be encourage by both Ashley and Chamel to bring you closer to God to discern where He wants to lead you in life. 6:37 What do we do when we’re waiting on God? 10:13 Get yourself prepared by being still. 13:20 When you’re feeling stuck. 18:00 Why it’s important to pray? 21:27 God is not a genie. 28:00 Be still and be in His presence. 30:28 Powerful prayer tip from Ashley. 32:35 Focus on what is on your plate right now. Ashley Sweeting is a mom, movie-lover, and a part time comedian. Most importantly, she is a lover of Christ who strives to love everything He loves. The exciting details of her life have to do with the amazing grace of God, and how it has enabled Ashley to use the pain of tragedy and personal failure, to fuel her passion for delivering the message of hope, through Jesus Christ, as well as helping other women grow and thrive in spite of their obstacles.